A monetary award from a lawsuit can greatly exceed your current insurance coverage, leaving you responsible for large sums of money. For this reason, an umbrella insurance policy could potentially be the most important insurance policy you purchase. Personal umbrella policies give you an extra layer of coverage above and beyond your home or auto insurance policy to make sure that your family’s financial future isn’t compromised in the case of an accident involving others. Your home insurance and car insurance policies have limits on the amount they will pay in the case of an accident. In the case of a car insurance policy, those limits may be as little as $100,000. But if the accident is severe, that may not provide nearly enough protection for you and your family. When your insurance policy limits are reached, you are personally responsible for the remaining expenses. In the worst case scenario, this might include not only medical and legal expenses but also the loss of work and rehabilitation expenses. And if you are unable to pay these expenses, you could lose your current and future assets! 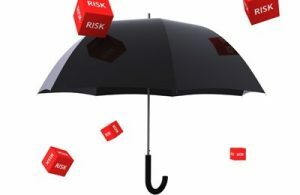 An umbrella insurance policy is generally fairly inexpensive, considering the amount of insurance protection you receive, and it could make a huge difference if you ever need to use it. Please contact us to determine whether a personal umbrella policy makes sense for you.